Pinto beans are the most popular bean in the United States. These fiber-rich beans are a good source of protein and offer numerous health benefits. Pinto beans can be served as a side dish or added to soups or stews. 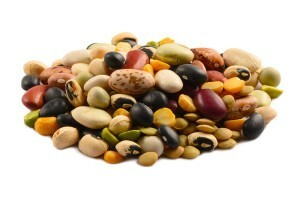 Their creamy texture makes them a popular choice of bean for making refried beans. They are often served with rice. Great tasting beans that store very well. Came in individual bags, each bag really has enough for 4 servings depending on what you make. We like to make tacos or burritos. Just your everyday dried pinto bean! Quality is good (no rocks or sticks, just beans) and it’s a good price since you can keep these bags on the shelf for a year. Use in your slow cooker to make amazing refried beans! I cooked this morning and it was yummy! I will buy it again.